This is a fun quick read with some fabulous ghosts to get to know seven stories in this anthology and I enjoyed every one of them there are smiles along the way as we get to know the ghosts that live together in the ancient house supposedly built on an old Roman ruin it has towers and parapets a dungeon and an attic were the ghost love to hang out. It is now a country hotel and spa and attracts a lot of curious visitors. Each story flows onto the next one and they are well written with different characters and ghosts starring in each one, over the years there have been paranormal investigations trying to find proof but these ghosts are very clever. Of course there are people who can see them feel them and hear them but there is never any evidence that Livingstone Hall is haunted, why not see for yourself and read this one I do highly recommend these stories. 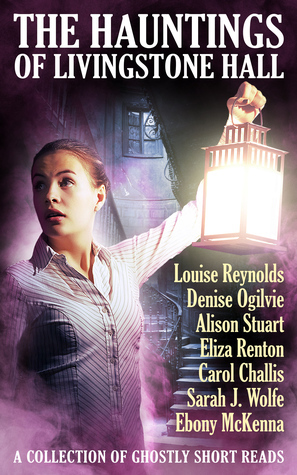 All of the authors are members of a writing group from Melbourne and can I say well done Ladies I thoroughly enjoyed this one and I do hope to see another one I am quite fond of some of these ghosts.